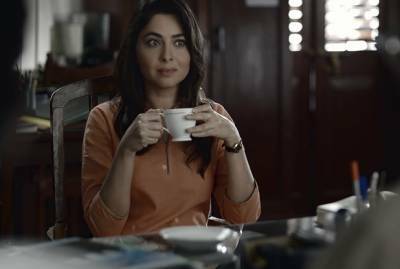 Having announced the launch of its brand Tata Tea Gold Mixture (TTG) in Maharashtra, Tata Tea has unveiled a new brand campaign that delves on the core attributes of the new product. With Maharashtra shaping itself up as one of the core markets for Tata Tea Gold Mixture, the campaign has been launched exclusively in Marathi so as to appeal to the sentiments of the local populace. Just like the multifaceted modern Marathi women, every cup of Tata Tea Gold Mixture wows the consumer with lot more than what is expected out of a cup of tea. Comprising of ‘Bareek Chahaa and Zaad Patti’, Tata Tea Gold Mixture brings together strength, thickness & aroma to create a cup of tea that is beyond compare. Unlike the rest of the country, Maharashtra is a unique and atypical tea market where the premium segment is the largest. It is also a highly complex market because it’s primarily a premium dust tea market, and is dominated by 1-2 key players who have a stronghold within their respective districts. In addition, there is a practice of the locals mixing their teas which reflects a need to enhance the tea drinking experience. With the TTG Mixture launch, the company is looking to make a dent and gain prominent market share. Adding his views on the campaign, Sagar Kapoor, ECD – Lowe Lintas said: "The film uses the metaphor of a tea that beautifully delivers on three attributes to address the issue of women empowerment. It delves on the fact that a woman is quite capable of multitasking and delivering on more than one aspect of life. We have dealt with the issue with a subtext of inequality with a relatively junior employee and not just gender bias as seen in an obvious or overstated manner." To build an instant connect with Maharashtrians, the campaign has roped in three noted celebrities from Marathi cinema – Uday Tikikar, Sonalee Kulkarni and Hrishikesh Joshi who essay a crucial role in propagating Jaago Re’s central brand promise. The film would be aired on prominent Marathi channels and would tap into other traditional - such as outdoor, radio and digital media to reach out to the local populace.